One of the youngest wine industries in the world is a short drive away from the world’s oldest known wine cellar, found in a 1700 BCE Canaanite palace. 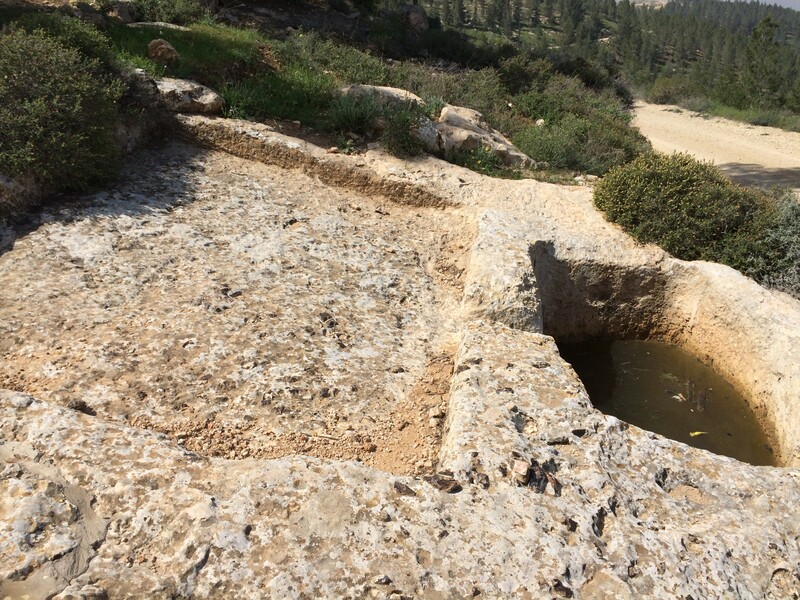 The cellar was found in the ancient city of Tel Kabri, near Israel’s northern coastal town of Nahariya. Just an hour away, in the Golan Heights, some of the countries finest winemakers are making world-class wines, and Israel’s newest winemakers are planting vines and planning their next vintages. In southern Israel, in the Negev Desert, the Yatir Forest is the home of ancient wine presses, carved from stone and able to produce tens of thousands of bottles a year. In that same forest, local growers are in a joint venture with one of the country’s largest wine makers to make one of the best recognized kosher luxury brands in the world. Israel’s wine industry is a continuous stream of the oldest and newest. Wine has been made in the region for four millennia or more. But less than two decades ago, there were only seven commercial winemakers in the country, and most of them were pumping out mediocre mass-produced wine for religious use and drinking by the very kosher, the very patriotic, or the very brave. Today, 300 wineries produce 60 million bottles per year, and many of them are high quality wines crafted by winemakers trained in France, the US, Australia, and New Zealand. A burgeoning wine travel industry is growing around the new fine wine industry. In Northern Galilee, a wine tourist will find seven different wineries’ visitors centers open to the public, and a vibrant bed and breakfast industry with rooms ranging from $50 up to $400 per night. 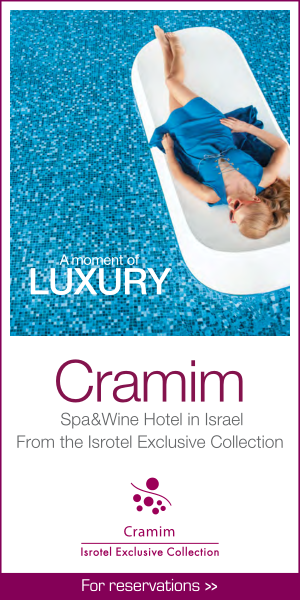 Further south, just minutes from Jerusalem, Isrotel, a luxury hotel chain, opened Hotel Cramim, its first spa and wine hotel. Israel’s modern wine industry was launched by Baron Edmond de Rothschild on the southern slopes of Mount Carmel. In 1890, he founded Bat Shlomo, a small village he built to grow mulberries (for silk production), and grapes (for wine). The Baron, who named Bat Shlomo after his mother, wanted to create a wine industry in Palestine. He built thirteen homes: a synagogue, a mikvah (a Jewish ritual bath), a storehouse, and a kosher butcher – a ready-made village for eastern European settlers. The homes still stand today, much as they were when first built. 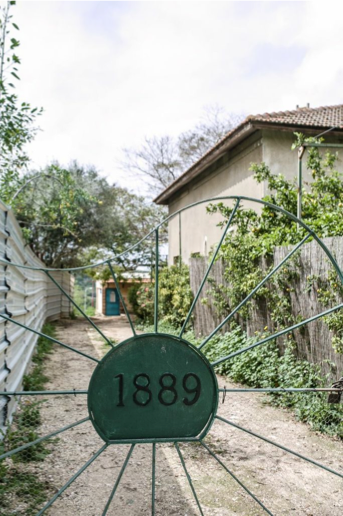 The vineyards were planted with traditional Bordeaux varieties, but through the early years the winery Rothschild founded in a sister village, Zichron Yaakov, made traditional bulk sweet kosher wine for Shabbat, the Jewish Sabbath, and other ceremonies. That would be the direction of the Israeli wine industry for nearly a century to follow. Today, Bat Shlomo is enjoying a renaissance under the direction of American born high tech entrepreneur Elie Wurtman and his American trained winemaker, Ari Erle. Erle is focusing on producing modern, high-quality wines from new vines he planted in 2010, including cabernet sauvignon, cabernet franc, and petit verdot. Wurtman is splitting his focus between the vineyard and a new visitors’ center, which will have six guest suites, a tasting room, a below ground winery, and easy access to the country’s best biking and hiking trails, for Bat Shlomo is located in the Alona Forest National Park. Bat Shlomo’s 2012 Chardonnay, imported to the US and priced at $40, is one of Israel’s best Chardonnays. Erle makes Bat Shlomo’s Sauvignon Blanc in an egg-shaped tank, a first for the Israeli wine industry. It is fresh, bright, and well-balanced, and priced at $30. 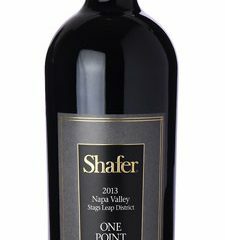 Offering great promise tasted from the barrel, the 2012 Betty’s Cuvee, made from cabernet sauvignon, petit verdot, and cabernet franc, is a full-bodied red that offers the best of each of its varietals. Import cost is $50. For nearly a century after the founding of Bat Shlomo, Israel’s wine industry focused on produced sweet bulk wine. Baron Rothschild created two 19th century wineries, Rishon Le Zion, in 1890, and Zichron Ya’acov, named for the Baron’s father, James Jacob de Rothschild, in 1892. Both were also planted with cuttings from Rothschild’s Chateau Lafite, and all the viticulturists were from France. These wineries would later merge to form Carmel Winery, Israel’s largest. Nearly 100 years after the launch of Baron Rothschild’s Israeli wine dream, Carmel Winery stunned the kosher wine-drinking world with the release of its 1976 Cabernet Sauvignon Special Reserve in 1980. The Special Reserve was, quite simply, the world’s first fine dry Kosher wine. It was the first Israeli wine to be aged in small oak barrels and the first Israeli wine produced in the international style. It was, in fact, the first wine to approach the Baron’s original idea of Israel as a fine wine producer. In 1973 Israel gained control of the Golan Heights, in the far northeastern corner of the country, in the 1973 Arab-Israeli war. The area remains disputed territory, claimed by both Israel and Syria, which is why wines from the region and intended for international export are labeled “Upper Galilee” rather than Golan Heights. It was in this area that Israel’s next leap in modern wine was taken, in 1978, even as Carmel Winery’s Special Reserve was aging and waiting to surprise the world. It was in 1976 that a University of California, Davis oenology professor, Cornelius Ough, visited the Heights and recognized that the elevation, cool climate, and volcanic soils were ideal for making wine. Vineyards and wineries soon followed, and Israeli wine moved, for the first time, from the valley floors to the hillsides. Today, many of Israel’s finest wines are made in the Golan Heights at elevations up to 1200 meters. In 1983 Golan Heights Winery was established, and it brought with it Israel’s first state of the art winery, as well as internationally trained winemakers. Golan Heights’ first winemaker, Peter Stern, was responsible for Golan Heights’ 1983 Yarden Cabernet Sauvignon Blanc, which won the Winarsky Trophy for Best Cabernet Sauvignon Worldwide at the London International Wine & Spirit Competition in 1987. It was the first major prize won by an Israeli wine, and started to put Golan Heights Winery, and Israeli wine, on the international wine map. Today, Golan Heights Winery has three brands: Gamla, Golan, and Yarden. These three labels account for 40% of all Israeli wine exports. Over the years Golan Heights has continued to innovate, bringing in winemakers from around the world, expanding their vineyards, and producing an ever-expanding line of fine wines. One of Golan Heights’ newest wines is its recently released 2008 Sparkling Rose. Made in the traditional méthode champenoise, this spent five years on lees before it was finally released. Yarden’s 2013 Sauvignon Blanc is a quality bargain, imported to the US for $12. Its 2008 Merlot Odem comes from the Odem vineyard. The vineyard is Israel’s highest, at 1200 meters, and has been organic since 1998. The best wine tasted from Golan Heights’ flagship Yarden wine was a surprising Iced Gewurztraminer. This desert wine treat carries all the markers of Gewurztraminer in a honeyed nectar. Other good wines of note include Yarden’s Syrah and “Rom” red blend. In the last 20 years Israel’s wine industry has exploded from a handful of large wineries to a collection of almost three hundred different wineries of every size. The vast majority of these are boutique wineries, many of which have followed the earlier innovations by growing their best fruit at high elevation, often in the Golan Heights, and bringing in professional winemakers with international training. 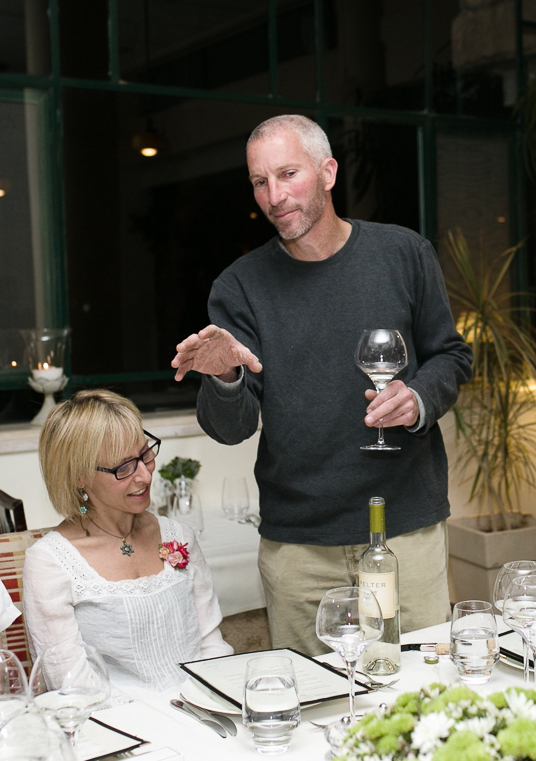 One example of this trend is Pelter Winery, Israel’s largest non-kosher winery, led by its chief winemaker, Tal Pelter. Pelter was trained in Australia, and it shows in his wines. He grows approximately half his grapes, and buys the rest, mostly from other Golan growers. The grenache and mourvedre comes from the lowest elevations, around 250 meters. Merlot, shiraz, and some cabernet sauvignon is grown at approximately 500 meters, and cabernet franc, cabernet sauvignon, and white grapes are grown at about 1000 meters. Pelter offers a broad array of wines, including two unoaked whites, Chardonnay and Semillon, Pinot Noir, Cabernet Sauvignon, “Trio,” a blend of Cabernet Sauvignon, Cabernet Franc, and Merlot, and perhaps the best of the line-up, a varietally spot-on Cabernet Franc. Pelter Winery exports approximately 15% of its 10,000 cases, and most of its wines are available in the US direct to the customer’s home from Israel Wine Direct. One of the more interesting boutique wineries in Israel is Tulip Winery, in Kfar Tikva. Kfar Tikva means “Village of Hope.” Kfar Tikva was started in 1964, and houses approximately 200 special needs adults. Tulip employs 3 to 5 villagers on a daily basis, and during harvest, bottling, and other large projects another 25 to 30 participate. 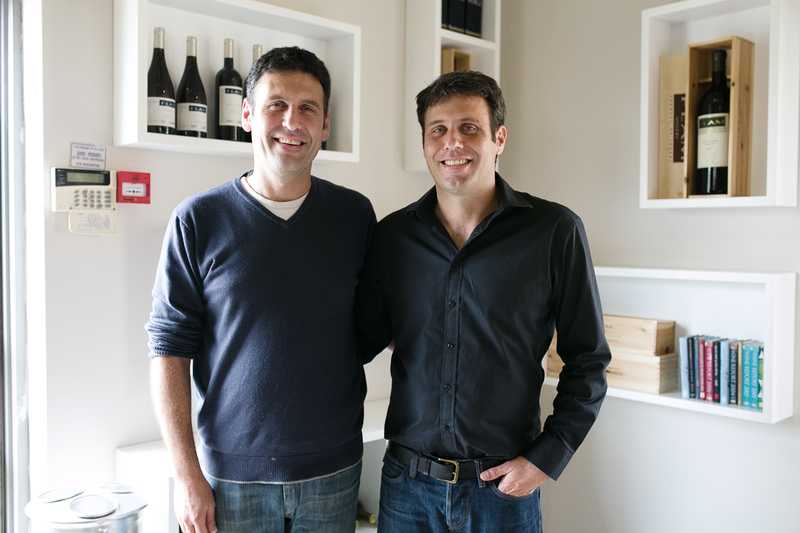 Tulip was started in 2003 by owner Roy Itzhaki, and day to day operations are overseen by winemaker David Bar-Ilen. Tulip makes its wines from grapes from the Upper Galilee (Golan) and the Jordan Hills. They grow some of their own grapes and have long-term agreements with growers for the rest. The long-term agreements give Tulip’s winemaker control over the viticulture in those vineyards. Bar-Ilen grew up in the city that surrounds Kfar Tikva, and he came home after learning winemaking in Tasmania. Tulip makes several interesting wines at a couple of price points. Their White Franc is made from Cabernet Franc from Mata Vineyard, at 750 meters elevation above the Ella Valley. It is off-dry and tastes of sweet rosewater. 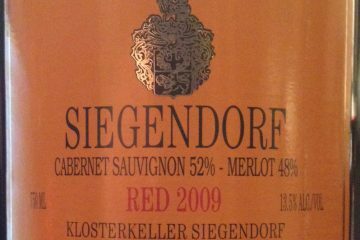 Their “Just” line of wines, Just Merlot, Just Cabernet Sauvignon, and Mostly Cabernet Franc, are exactly as they’re named. All were good, and the Mostly Cabernet Franc was the best, with black raspberry, tobacco, and smooth tannins. They are all priced in the $25 to $35 range. Tulip’s flagship, Black Tulip, is a Bordeaux Blend. The label was designed by a Down’s Syndrome adult who won an art contest. Bar-Ilen said the winner was excited when he learned his art would be on a bottle, but was over his head with joy when he realized his art would be on all the bottles. The wine in the bottle does justice to the artist, offering a rich, round, mouth feel and complexity to pair with a fine filet. Other recommended wines from Tulip include Creation DNA and Syrah Reserve. All of Tulip’s wines are Kosher. 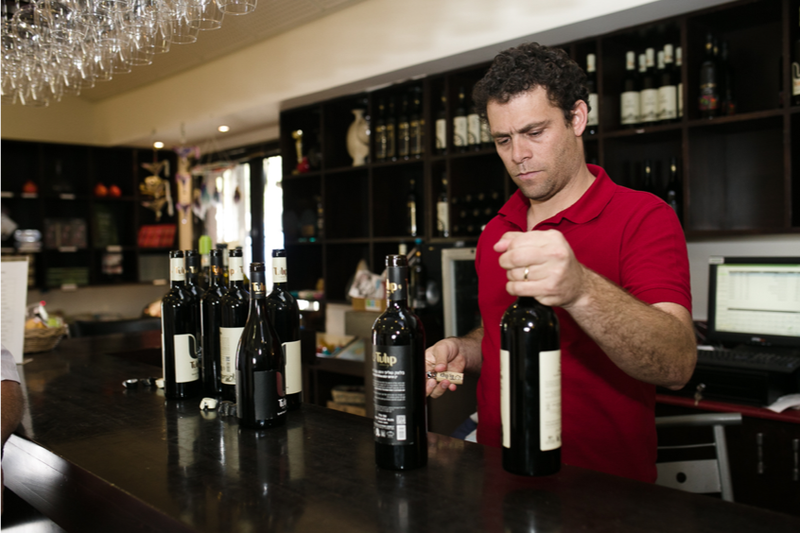 Israel’s first boutique, and still widely acknowledged as one of the best, is Margalit Winery. It was founded in 1989 by Yair Margalit. Today, he shares winemaking duties with his son, Asaf. Margalit uses grapes from its two vineyards and, unlike most other vintners in Israel, neither fertilizes nor irrigates. Kadita Vineyard is in Upper Galilee, or the Golan Heights, and is planted with cabernet sauvignon and merlot. Binyamina Vineyard, near the village of Binyamina, is planted with cabernet franc. Margalit was Israel’s first non-kosher winery. Margalit sells a large percentage of its wine during the three weekends leading up to Passover, the only time the winery is open to visitors. It has been exporting wine since 2003, and can be purchased direct-to-consumer in the US through Israel Wine Direct. Margalit’s Petit Verdot 2012 was one of the best wines tasted in the country, layered, silky, with a true sense of place. Other highly recommended wines from Margalit include their Special Reserve 2010, Cabernet Franc 2004, and Cabernet Sauvignon 2003. Three more Israeli wineries deserve to be highlighted. The first, Lewinsohn Winery, makes two wines, Garage de Papa White and Garage de Papa Red. They are exactly what they sound like, wines made in the winemaker’s father’s garage. Ido Lewinsohn started out small, making a little bit of wine in his father’s garage. Since his first vintage, in 2007, he has enjoyed success, particularly in restaurants, where the wines are in high demand. His success has made it possible for him to move out of the garage to build his own winery, but he has, to date, resisted the temptation. Flam Winery, established in 1998 and juxtaposed between Jerusalem and Tel Aviv, was started by brothers Gilad and Golan Flam. Their father was the first Israeli graduate of UC Davis, and was the winemaker for Carmel Winery for 35 years. 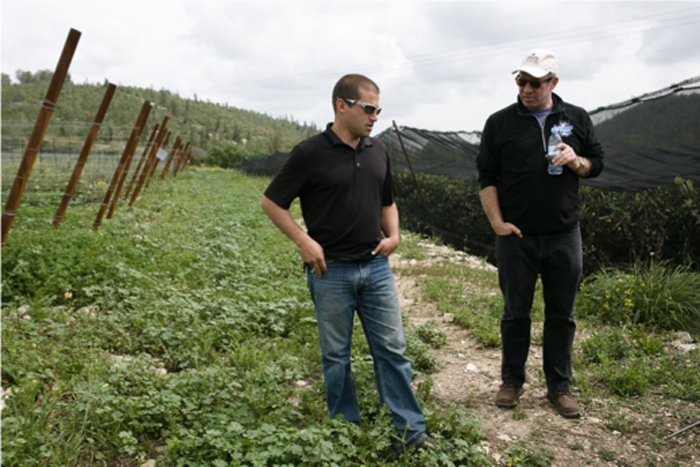 At Flam, GIlad and Golan grow all their own grapes from vineyards in the Jerusalem Hills, Galil, and the Golan Heights. Their wines are well made, clean, and have that extra something that makes wine special, rather than just good. Flam’s Blanc, a blend of sauvignon blanc and chardonnay, stood out in a blind tasting with its tropical fruit flavors and fresh crispness. Flam’s Reserve Merlot and Reserve Cabernet Sauvignon are among its best offerings, with depth, concentration, and layers of flavors. Another winery of note is is Tzora Vineyards. Eran Pick, the winemaker, got his B.S. from UC Davis, and worked in Napa Valley and at Chateau Lafite in Bordeaux. He makes wines worthy of his training and experience. Tzora Vineyard’s wines are imported into the United States by prestigious Michael Skurnik Wines. Several of Tzora’s wines are highly recommended, including its 2012 Chardonnay, 2012 Sauvignon Blanc, and two of its red blends, Shoresh, a cabernet sauvignon, syrah and merlot blend, and Misty Hills, a blend of cabernet sauvignon and syrah. 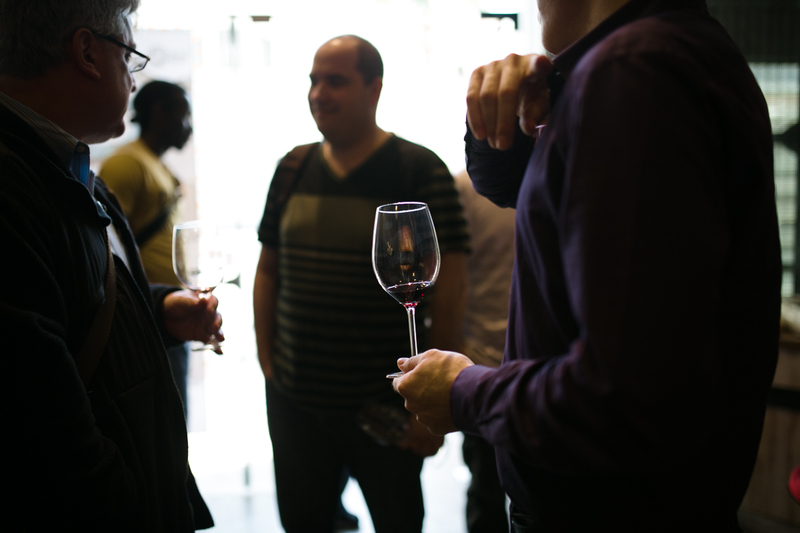 Israeli winemakers face two different layers of regulation and oversight. The official regulations come, curiously, from Israel’s Commerce Ministry, not its Agriculture Ministry. Wineries must be located in industrial, rather than agricultural areas. Furthermore, they are subject to the rulings of local governmental bodies, which are as subject to the whims of local residents and politicians just as are city and county councils in the United States. It can take years to get a winery, or even an improvement to an existing winery, approved. Israeli wineries also find it difficult to place the winery where it will best support tourism, amidst the vineyards. A second level of oversight is found in kosher wineries. All kosher wines must be made following three rules. A fourth rule is only necessary to make the wine Glatt Kosher. The first rule operates in the vineyard. Vines must not be harvested until the fourth year after planting, and they must be allowed to lay fallow every seventh year. Interplanting is prohibited, meaning no vegetation may be planted between the rows of vines. Naturally occurring vegetation is permitted. Many of Israel’s vineyards are kosher, even if the wines made from them or not. There is a simple business reason for this – if a vintner ever decides to sell his vineyard he wants the broadest possible array of buyers, and if the vines have not been maintained as kosher since their planting, the kosher buyer would have to pull them out and start again. The second rule requires that all materials that go into the wine must be kosher. This includes not just the grapes, but also anything used to stabilize, filter, or fine the wines. Isinglass, if made from Beluga sturgeon, a non-kosher fish, for example, may not be used for fining Kosher wine. The third rule is the most difficult to meet, and is the reason some of Israel’s best winemakers have decided not be make kosher wines. To make a kosher wine, anyone who touches the wine must be an observant Jew. An “observant Jew” is one who maintains the Sabbath. 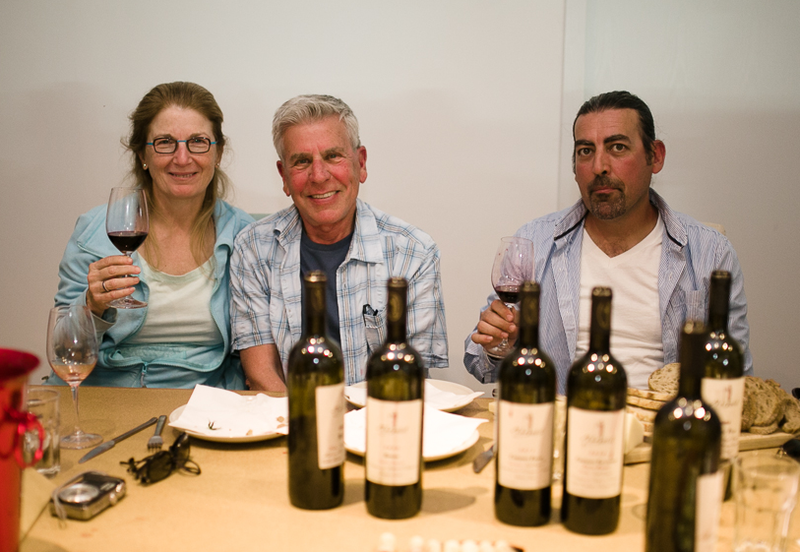 Many of Israel’s best winemakers, including those who are Jewish, are not observant Jews. 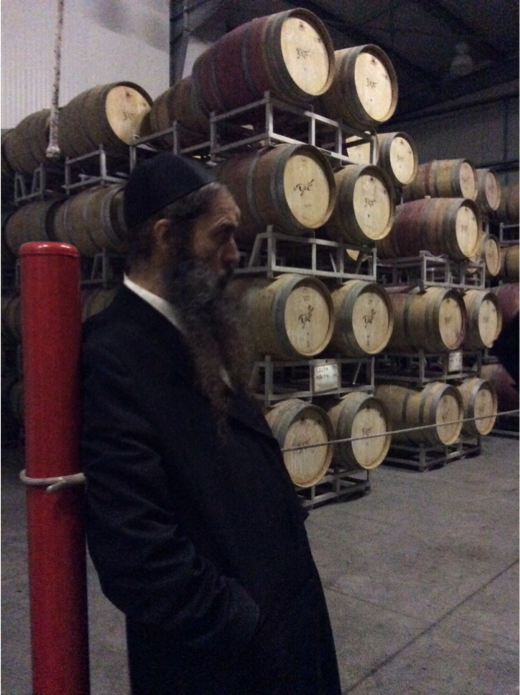 Therefore, if they wish to make Kosher wines, their activities in the winery are limited to direction and oversight. They must hire a crew of observant Jews to do anything with the wine itself, from att aching a hose to bottling the wine. The decision to be kosher is a significant economic decision, both for wines sold in Israel and for exports. 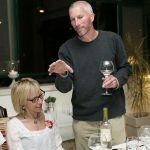 By choosing to be hands-on with the wine, the winemaker is also choosing to close the winery off from half the Israeli market, and much of the international market, which looks to Israeli wine for kosher wine for kosher households and for Jewish holidays. A visitor to a kosher winery will quickly learn the rules about what may be touched, and will likely also notice they are accompanied by a man tasked with making sure that the wine keeps its kosher character. FInally, to be glatt kosher, the wine must be boiled or flash pasteurized. Once it is heated in this way, according to Jewish law, it may be served by a gentile or a non-observant Jew and still maintain its kosher character. The local demand for Israeli wine is interesting, and may be one of the reasons Israel, a land of wine for millennia, has moved so slowly into the international and modern wine market. Even though a large percentage of the country drinks ceremonial wine regularly, consumption of wine is very low, with estimates ranging from 5 to 7 liters per capita. The Israeli wine industry faces other challenges as well. Everything they use in making the wine must be imported, from barrels to bottles. Labor costs are high, particularly since the Second Intifada, or Palestinian uprising, as the wineries can no longer rely on Palestinian labor at harvest time. Kosher is another hidden tax, requiring employment of winery staff that otherwise might not be required. The result of all this is that in Israel, the lower end of the wine market is dominated by lower priced imports, particularly wines from Italy and Spain. Israeli wines dominate the market for higher priced wines, those costing more than 100 shekels ($35). This trend in the market means that as Israeli consumers discovery wine, they associate it with imports. They also learn to drink wines that are not yet produced in large amounts in Israel, Mediterranean varietals like grenache, tempranillo, and sangiovese. 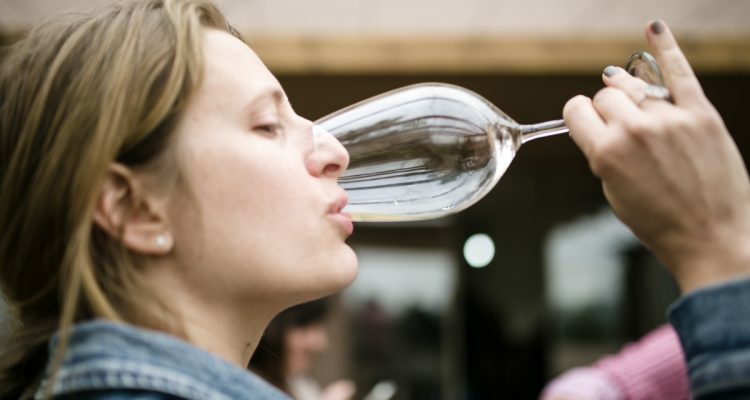 The Bordeaux varietals, along with chardonnay, still dominate Israeli wines. Israel, a hot weather country, still consumes far more red wine than white, at a rate of approximately 80% to 20%. Refreshing low alcohol whites so common elsewhere around the Mediterranean, like Spanish Albariño and Portuguese Vinho Verde, do not have an Israeli counterpart. Lighter, lower-alcohol red wines, like Beaujolais or Chianti, are also not very commonly made in Israel. Fortunately, one of the newer trends in the country is for wineries to start experimenting with different varietals, in search of a grape that might someday be associated with Israeli wine, much like sauvignon blanc is associated with New Zealand and malbec is linked with Argentina. The Israeli wine industry is growing slowly in bottles sold, but growing very quickly in quality. Four thousand years after wine was first pressed in Israel, and more than a century after Baron Rothschild first brought his dream of making fine wine to Palestine, Israel’s winemakers are enjoying a growth spurt fueled by professional winemaking, intelligent vineyard decisions based upon the best terroir for different wines, a growing sophistication among Israel’s higher-end wine drinkers, and an expanding demand for fine exports. The author’s trip to Israel was courtesy of Kinetis, as Israeli non-profit dedicated to introduce people to the other side of Israel, the non-political day-to-day richness of Israeli culture and arts. Hah! Are you the one who got a picture of the watchful fellow at Yatir? Everyone was trying, but he kept moving. Great piece. One clarification:although flash-pasteurization (or other similar method) is required in order for the wine to be handled by a non-Jew or non-observant Jew without becoming “un-Kosher,” there is nothing inherently “more” or “Glatt” Kosher about such pasteurized wines. When in the hands of observant Jews, there is no difference from a Kashrut (Kosher) perspective between Mevushal and non-Mevushal wines.